The purpose of egg or embryo freezing is simple—to preserve your fertility. For a variety of reasons, such as the immediate absence of a life partner or educational and career demands, a woman may elect to delay pregnancy to a later age when her eggs are generally “less fertile.” Other women undergoing treatment for cancer or other serious illnesses may be at risk of impairing or eliminating their ability to bear children in the future. In many women, this reproductive delay may severely reduce the chance for a successful spontaneous conception. Greenwich Fertility is proud to be affiliated with NYU Fertility Center, a world-renowned innovator in the field of fertility preservation. We offer egg and embryo freezing to patients in our conveniently located embryology lab at Greenwich Hospital. The process of freezing is not new to reproductive medicine. The technique of freezing sperm has been utilized for over 50 years. The freezing of embryos and their transfer to a woman’s uterus as an infertility treatment option has been performed with success since 1983 and is now considered a routine procedure throughout the world. The first baby born from a frozen egg occurred in 1986, and to date there have been over 2000 births resulting from frozen eggs worldwide. Originally, a slow freezing technique was used to preserve eggs. While this process was adequate for sperm and embryos, eggs were found to be sensitive to this method of freezing. Over the past several years a new freezing method has been developed, called vitrification. The vitrification process involves very rapidly freezing eggs or embryos over just minutes. When this technique is used, the survival rate after thawing is 90%. Vitrification has revolutionized the process of egg and embryo freezing. 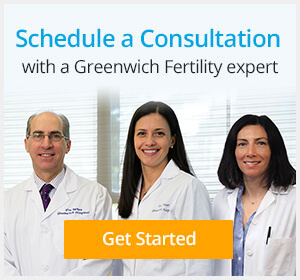 As an affiliate of the NYU Fertility Center, a world leader in vitrification technology and fertility preservation, we are proud to offer this technique to our patients.